The Red Ripper Ultralight™ Stone Router is our lightest router yet! Weighing in at only 11 lbs, you can easily pick up this router with one hand! It is built for profiling sinks and edges, and is perfect for pre-fabs. The built-in hydroplaning base helps the router move smoothly over the surface of the stone without scratching. Works on both natural and engineered stone. While the router is light, it is no lightweight when it comes to the size of bits it can use - almost all standard 7/8 bore with M10-1.5 bolt router bits will fit and be usable, including all common 2, 3, and 4cm bits. We've even seen guys swing larger bits, but that can cause the machine to become unbalanced, requiring a weight in the back to level things back out again! 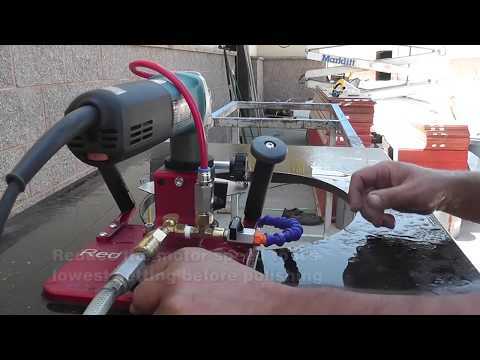 Whether you are looking to start up a shop, or whether you just want your team to have an in-expensive router that they can keep on-hand at all times or even take to the job site, the Red Ripper Ultralight™ Stone Router is for you. Keeping bits properly wet while routing the inside of a sink - or anywhere else you have inside corners - can be a bear: the hose is always running into the stone or missing the grinding or polishing surface. The extra heat causes bits, in particular polishing bits, to heat up and prematurely wear - something no one wants to happen. 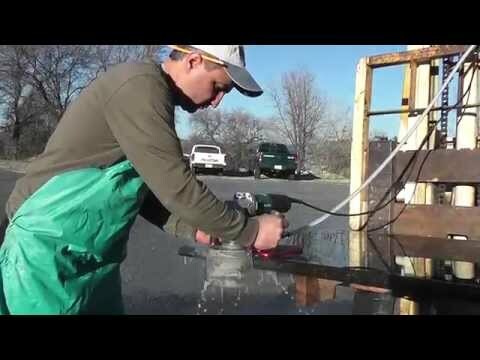 With the water feed option, the water is sent directly through the center of the spindle and into the center of the bit where coolant-through bits can then sling the water right onto the working surface no matter where that surface is. This keeps the bit and stone fully wet at all times, allowing for maximum bit life and a perfect polish. 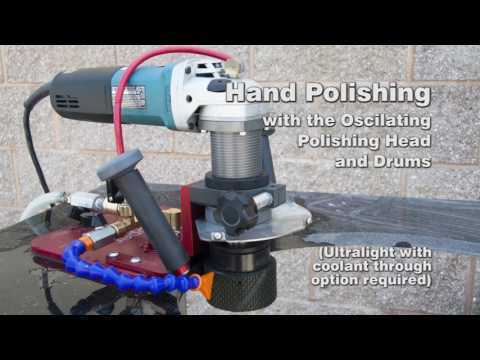 That said, the only time you absolutely need this feature is with the oscillating head polishing system. This option also comes with some risks, as accidental misuse can flood the modified Makita grinder with water, voiding all warranty. If you have concerns, please give us a call at 1-888-996-4777 and ask to talk to tech support to see if the water feed option is something that will benefit you. 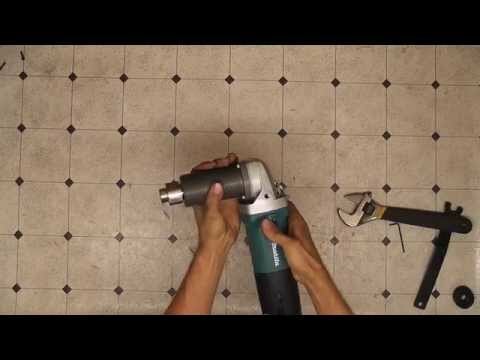 If you have a flooded Makita grinder, simply follow our tutorial to replace the Makita with an unmodified Makita grinder, then clean, dry, and regrease the gearbox of the flooded Makita grinder. WARNING! This product contains chemicals including lead, which is known to the state of California to cause cancer and birth defects and other reproductive harm. For more information go to www.P65Warnings.ca.gov.